Season 37: Nick Wilson embraces his pops. We saw 27-year-old Kentucky native Nick Wilson let his emotions loose early on Survivor: David vs. Goliath when he was bonding with this Tribemates, but it was nothing compared to when he got to reunite with his dad during the season's loved ones Reward Challenge. Nick reflected on his younger days, remembering how in college he was always envious of his friends who had their dad's credit cards and drove fancy cars, but that being away from his family while on Survivor has reminded him how much he has to be thankful for. "I feel like I didn't always appreciate him," Nick told Jeff. "But until you've donated blood to buy milk for five kids, you don't realize what this man has gone through." "It's not about what you have or what you don't have," Nick's father added. "It's about what you give." 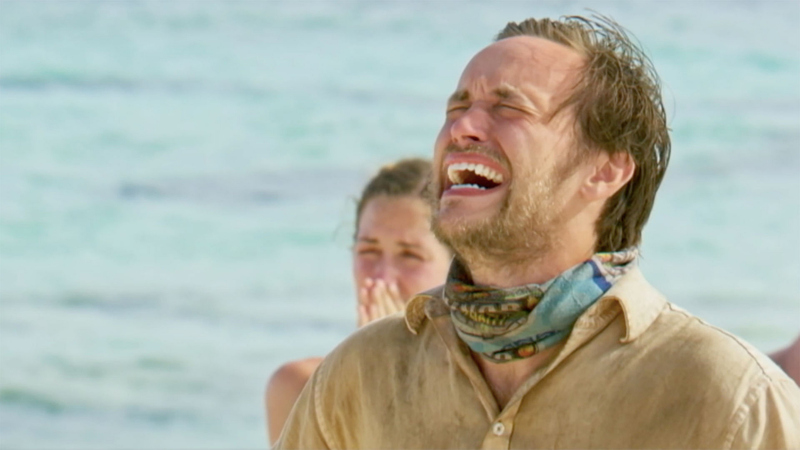 See Nick's emotional interaction with his dad on Episode 11 of Survivor: David vs. Goliath, "So Smart They're Dumb."